When should I see a mortgage broker? We’re so pleased you found us! Do you want easy, stress-free housing finance so you can relax and enjoy your home? Our aim is simple – to provide everyone we touch with a stress free, fun filled property lending experience. What sets Energise Home Loans apart from other mortgage brokers is our focus on the excitement that our clients feel when they are purchasing a new home. We never treat our customers like a number. Instead, we take care of the numbers for you, from start to finish, so you can enjoy the excitement of buying a home. Our headquarters are based on the beautiful Northern Beaches of Sydney, but we’re a completely mobile service, so we are very happy to meet our clients whenever, and wherever they choose. We’re all about making the process as stress-free and enjoyable for you as possible. Our experienced team has extensive financial, banking and customer service experience, and we have also bought and sold homes, investment properties and refinanced many times over the years, so we know exactly what all the pitfalls and fun parts are! Whether you’re a first home buyer that needs some extra help, if you’re looking to upgrade to your next home, or you’re a seasoned property investor looking for that next capital growth opportunity, we can assist you every step of the way. We’ve been helping people with lending for over 18 years. We look forward to the opportunity of assisting you too. 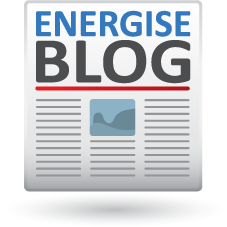 Can you Help to ‘Energise’ our Business? We are very excited to announce the launch of our new ‘Energise’ Referral Program. We pride ourselves on our level of customer service, and we would love the opportunity to assist any of your friends or family that may benefit from our lending and refinancing services. And to say thank you for your referral, we will send you a $100 Eftpos card for every loan that you send our way, upon loan settlement. Please feel welcome to share the details of our referral program with your friends too – our program applies to anyone that sends us business and we’re keen to share the benefits as far and wide as possible. We would be very happy to assist you and your friends and family with any of your lending needs. Please feel welcome to call us at any time, we are always here to help. Get Your Free Topic sheets Now! Let us keep you up to date so you can hear our helpful tips and news - stay ahead of the game and sign up for our Energise Home Loans e-Newsletter. Click here to read our latest blog! Brian Rusten (Credit Representative No. M0019638 , ABN 72132125636) is a representative of Mortgage Line Australia Pty Ltd (ACN 107284677 ("MLA"), Australian Credit Licence Number 386276). Copyright © 2015 Energise Home Loans.